The following six easy recipes are perfect for back to school. All of them are filling, relatively healthy, and super delicious. Great for kiddos, teachers – and moms and dads too! 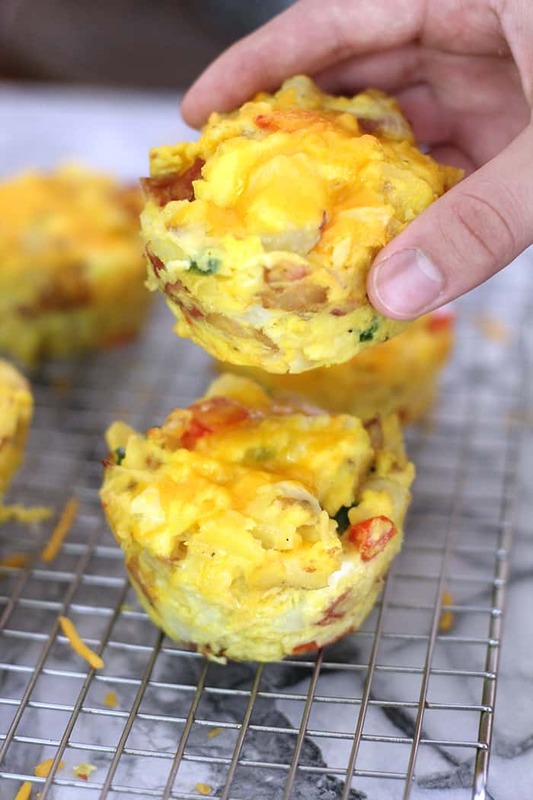 A great way to start any school day, these breakfast muffins are an “eat the rainbow” type of meal! Make them up ahead of time, and grab one on the go. 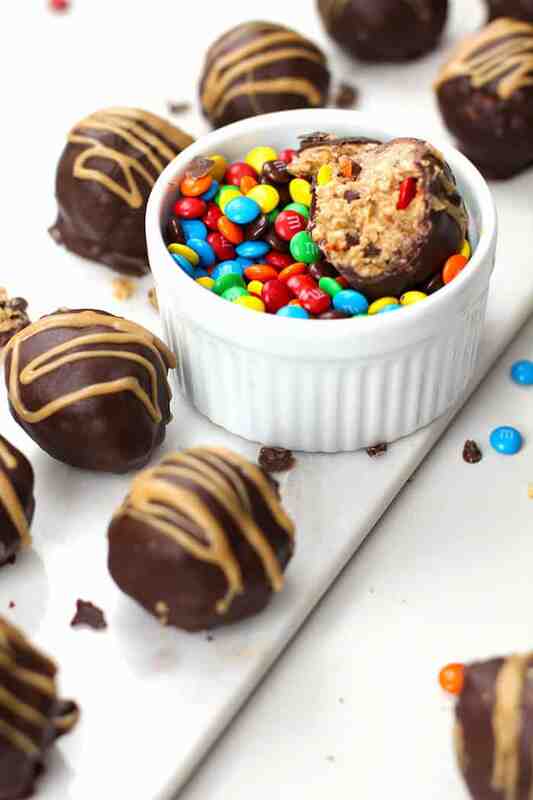 These monster cookie balls are a lot like my Monster Cookie recipe, but are egg-free, and covered with a layer of chocolate. Perfect for little hands – and big ones too! 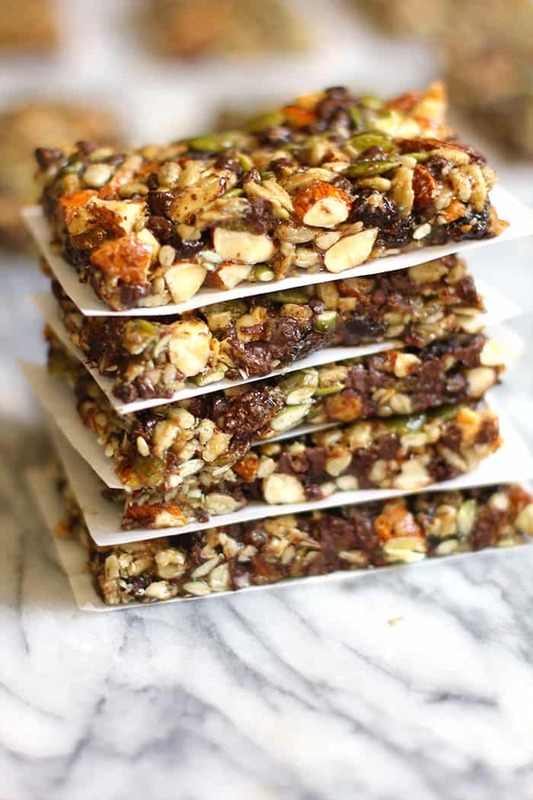 My love of trail mix is evident in this granola bar recipe. 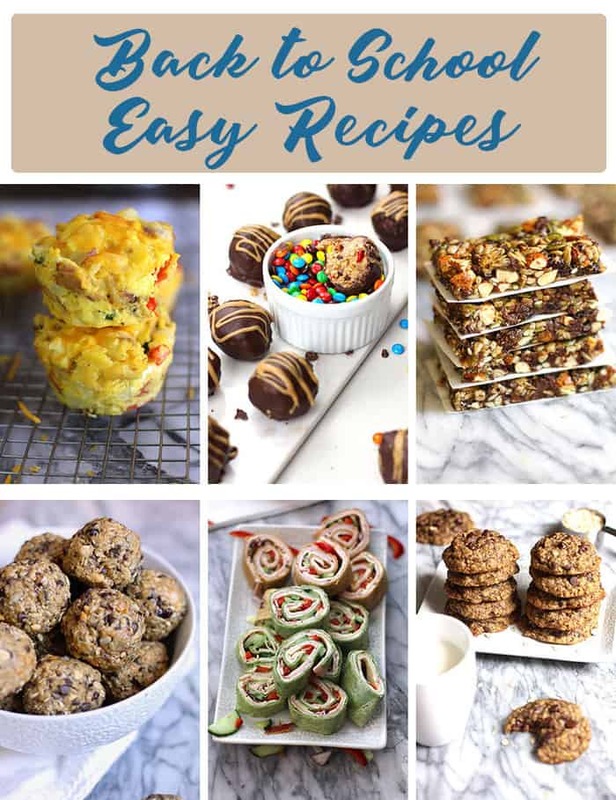 Loaded with almonds, sunflower seeds, pumpkin seeds, raisins, and mini chocolate chips – they are out of this world delish! 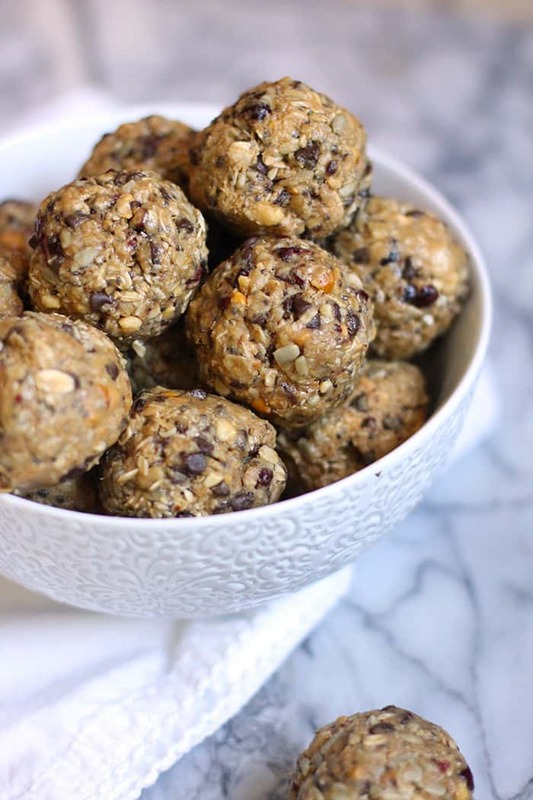 These power balls have super powers, which is why we always travel with them. Pop them in a refrigerated lunch box and take them on the go. Perfect for school lunches too! We love roll-ups of any kind, and these are a lunch box staple. 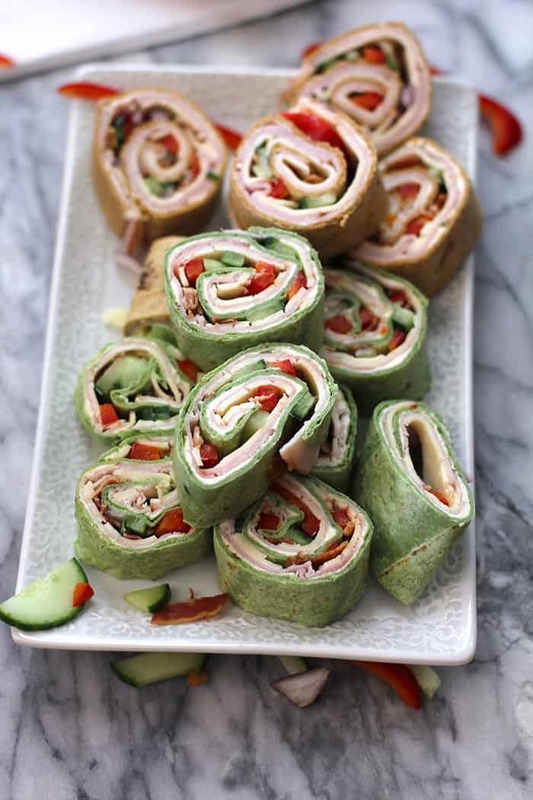 Even though my boys are older now, they still ask for these Turkey Club Roll-Ups! Every lunch box should have a small cookie of some sort. 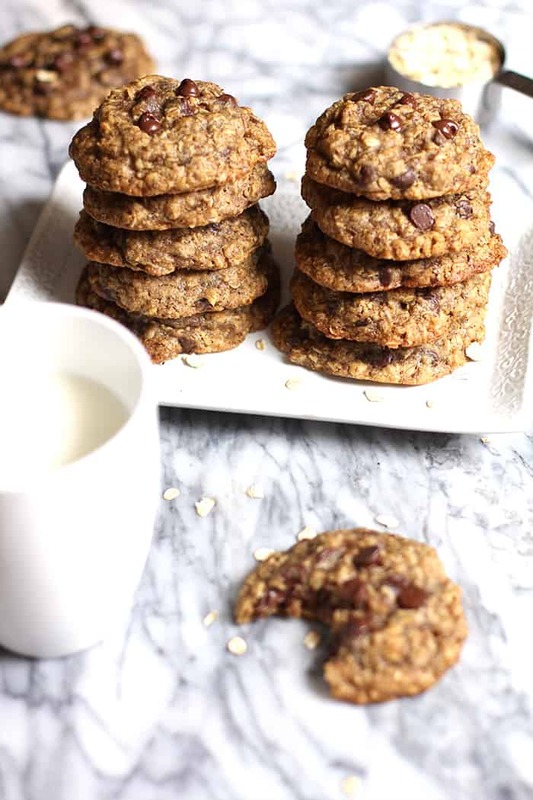 These cookies are perfection because along with the chocolate, they have a BUNCH of healthy old fashioned oatmeal. Win WIN! I am all in and can’t wait to try them all! Let’s get this party started!